Ram Charan, Boayapati Srinu untitled movie RC 12 first look and title logo will be out on 19th October, as Dussera special, while the movie is set for Sankranthi 2019 release. RC12 shoot is taking place in Azerbaijan in full swing and this is the first Telugu film to be shot in the exotic locales. Kiara Advani, the heroine of the film has now joined the unit in Azerbaijan, and a song and few scenes on Ram Charan and her are being shot. 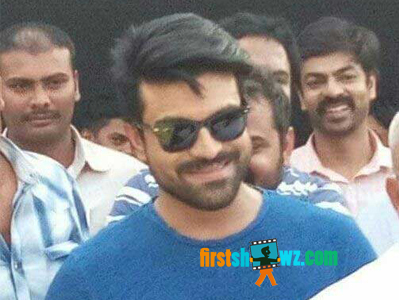 RC12 is directed by Boyapati Sreenu, and produced by DVV Danayya on DVV Entertainments banner. Music is by Devi Sri Prasad. This out and out action entertainer has Vivek Oberoi, Mahesh Manjrekar , Aryan Rajesh, Prashanth is significant roles.